PICC is often contacted to provide information and commentary on immigration issues. We are eager to help journalists with articles about issues impacting immigrant communities in Pennsylvania, and to provide a local perspective on national developments. Please contact Sundrop Carter, Executive Director for press statements or interviews: sundropcarter@paimmigrant.org. Today immigrant and refugee families wake up to a President-Elect who has publicly declared their contempt for immigrant and refugee communities. Last night’s election results are a sad reminder that we still have a long way to go to realize the promise of the American Dream. Our communities are now faced with the very real possibility that legislators will unite around policies that will target and criminalize people based solely on religion and country of origin. Pennsylvania – Today the Supreme Court issued a tie decision on United States vs. Texas, ruling against millions of immigrant families. This decision puts President Obama’s executive action, announced in November 2014, back in the hands of Judge Hanen in Texas, who has taken a strong anti-immigrant stance. We are disappointed that the Supreme Court fell victim to the political machinations of anti-immigrant forces. PA is READY! joins immigrant families and advocates from around the country in calling on courts to lift the injunction keeping President Obama’s deportation relief programs on hold. York, PA–This Saturday, June 28th, will be the National Day to Stop Separating Families, a day when immigrant families and advocates team up with organizations across the movement and the country to take a stand against rampant family separation caused by deportations in immigrant communities. Philadelphia – In March 2014, President Obama made a long overdue promise to review current immigration enforcement policies, recognizing “the pain too many families feel from the separation that comes from our broken immigration system”. However, last week the President announced that his administration would delay making any changes. Philadelphia, PA – On Tuesday, April 29th, more than one hundred refugee and immigrant leaders, families and allies from across Pennsylvania will meet with Pennsylvania legislators to call for pro-immigrant policies that reflect the contributions of and issues prioritized by Pennsylvania’s growing immigrant and refugee population. Philadelphia – On Wednesday, April 16th, Mayor Nutter will sign an Executive Order essentially ending all ICE holds in the City of Philadelphia. ICE holds are non-mandatory requests from the federal deportation office to local Philadelphia law enforcement to hold someone who should otherwise be released. The signing ceremony will take place at 11am on the second floor of City Hall. PHILADELPHIA, PA – 100 women from across the country will sacrifice food in order to feed the courage of federal leaders to pass comprehensive immigration reform and take executive action to stop deportations. For the last year, organizations across Pennsylvania have advocated for immigration reform, which would benefit the local economy and provide security to families living in fear of deportation. On Tuesday, April 1 and Wednesday, April 2, “Fast for Families Across America” leaders DaiJoong Yoon, Executive Director of the National Korean American Service & Education Consortium (NAKASEK) and Lisa Sharon Harper from Sojourners will gather with local faith and community leaders to hold a series of events urging Rep. Charlie Dent (PA-15), Rep. Jim Gerlach (PA-6) and Rep. Patrick Meehan (PA-7) to call for a vote on immigration reform this year. PENNSYLVANIA—Yesterday, Senator Toomey was in the minority of Senators opposing the passage of the landmark Senate immigration reform bill (Border Security, Economic Opportunity and Immigration Modernization Act of 2013). The bill cleared the Senate with a bipartisan majority of 68-32, including every Democrat and 18 Republicans. 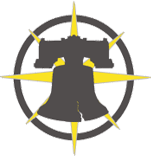 Philadelphia, PA—Pennsylvania Immigration and Citizenship Coalition applauds the introduction today of a bipartisan immigration reform bill in the Senate. The introduction of this bill marks a historic step towards comprehensive immigration reform that will repair our country’s broken immigration system. It shows that bipartisan compromise is possible and that we can break through the gridlock in Congress. Last week, Pennsylvania United for Immigration Reform announced a coalition effort to advocate for comprehensive immigration reform in Pennsylvania. The coalition includes more than 35 community groups, immigrant advocates, faith-based organizations, unions and service providers, as well as local immigrant individuals and families. The coalition was joined by City Council members Kenney and Quinones-Sanchez, who have since introduced a City Council resolution in favor of comprehensive immigration reform. The election results have demonstrated the growing influence of Latino, Asian and immigrant voters across the United States and pushed immigration reform to the top of the national political agenda. PICC joins its national partners in the Fair Immigration Reform Movement to call on President Obama and Congress to take swift action on comprehensive and humane reform of our immigration system.